Spike Lee has had an odd couple of years. Chi-Raq was a nice return to stylish form, but the likes of Da Sweet Blood of Jesus and Oldboy received considerably less critical acclaim. The iconic director is in a period of his career where it’s difficult to know exactly what to expect at any given time, but perhaps that’s a good thing. 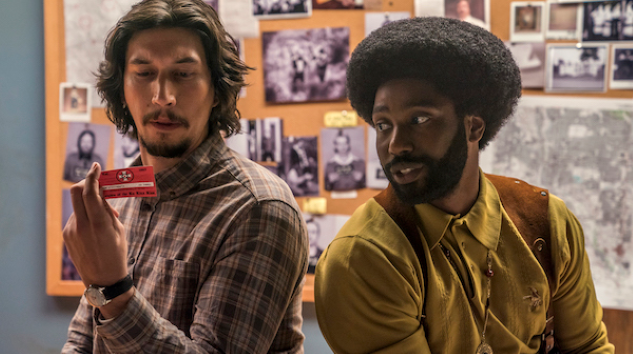 If the trailer for BlacKkKlansman is to be believed, it could be a very good thing, because this film immediately looks like one of 2018’s most eye-catching and purely entertaining. Perhaps Jordan Peele is partially to thank for that, as the director of Get Out is co-producing with Lee and Jason Blum, and whatever Peele touches these days tends to become must-see. But for whatever reason, BlacKkKlansman immediately looks to crackle with sharp satirical energy. The film premiered this week at Cannes, and is in contention for the Palme d’Or, with early reviews that are sparkling. Before you do anything else, check out the trailer below. Vivacious, is it not? With engaging cinematography and an intriguing cast, we can’t wait to see how BlacKkKlansman is going to play out. From the moment that John David Washington’s (the son of Denzel, in his first big role) rookie cop character ends up on the phone with KKK grand wizard David Duke (Topher Grace, in a weird, inspired bit of casting), the film looks as hilarious as it is apropos to the current political climate. It’s like one part Coen Bros. caper, one part Blazing Saddles and a dash of Black Dynamite. How can that sound anything less than amazing? It’s also yet another entry in the Adam Driver “hot young actor” clip reel. Could BlacKkKlansman be the film that earns him a slew of “best supporting actor” nominations? It’s a bit too early to tell, but our first look could hardly be more promising. BlacKkKlansman is scheduled for a U.S. release (hopefully a pretty wide one) starting on Aug. 10, 2018.